O n Thursday, President Trump released his much-anticipated Missile Defense Review. Speaking at the Pentagon, he talked up the plan to boost missile defense in grandiose terms, but the real message of the review, both unclassified and short on specific calls to action, wasn't the president's words but the challenges it lays out, most significantly complacency and new threats from China and Russia. Unfortunately, the report and the president's address points to the wrong way to combat them. For the first time, the Missile Defense Review explicitly lists both China and Russia as a threat: "While separate challenges and are distinct in many ways, both are enhancing their existing offensive missile systems and developing advanced seafarers. and air-launched cruise missiles as well as hypersonic capabilities. ”That acknowledgment is significant as it signals the refocusing of defense priorities from rogue states like Iran and North Korea to a new era of potential great power competition. For the U.S., the report acknowledged, our current defense systems would do little to an all-out attack from a powerful state if they were designed to measure a small-scale attack. “We must remind ourselves that our technological advantages can be improved. Military superiority is not granted to us; it is the product of diligence, creativity, and sustained investment. We must now apply the same level of effort and ingenuity to pass on to future generations the same relative security and military advantages that have been the bedrock of peace and prosperity. " Shanahan is right, and the casual acceptance that the U.S. The pre-eminent force in all corners of the world must not be taken for granted. Indeed, as a recent Defense Department report, China could potentially win a regional war and is rapidly developing its capabilities. So, how should the U.S. address these challenges? Contrary to Trump's on Thursday morning to have a system for “we can detect and destroy any missile launched against the United States anywhere, anytime, anyplace,” the best way to ensure that these challenges aren't with military build up. Instead, meaningful arms control agreements, strong bilateral relations, and a commitment to heading off to a damaging arms race will be more than foster security and peace. 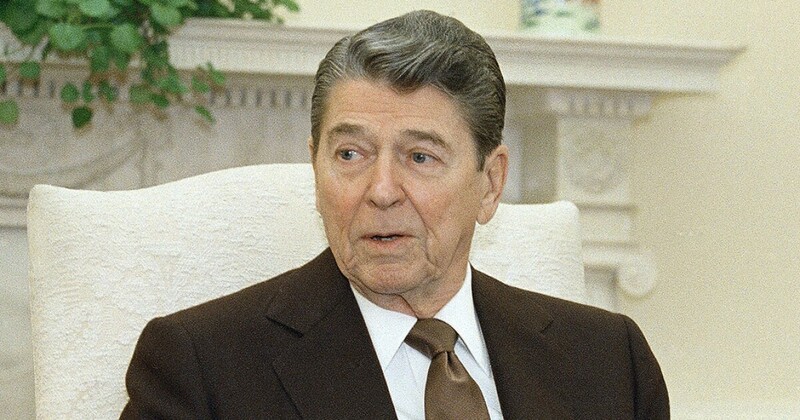 Although Trump's report drew comparisons to President Ronald Reagan's proposed "Star Wars" missile defense system, he should instead look at another of Reagan's initiatives that became an enduring part of his legacy: arms control treaties with our then-rival, the Soviet Union. In the end, it was not a targeted missile system that never came to fruition that kept a nuclear war at bay, but working relationships with the Soviet Union and a series of treaties to cut down, inspect, and monitor dangerous weapons. Acting Secretary of Defense Patrick Shanahan noted in the report, "to our competitors, we are doing, and we are taking action." That action should start with meaningful arms control negotiations.